Do You Need To Spend A Fortune On Makeup Brushes? You can buy the most expensive make-up in the world, but it won't go on right if your brushes are nasty. 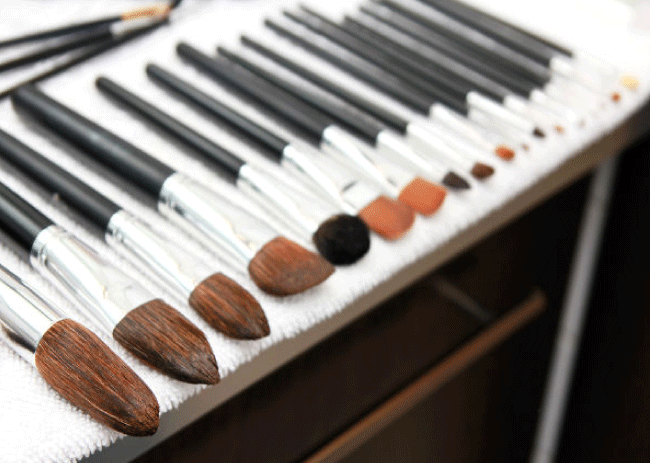 Do you need a million make-up brushes to look your best? NO! In fact, it's amazing how little you need if you keep 'em clean and know how to get the most out of each one. Do you need to spend a fortune? NO! Sure, expensive brushes can be AMAZING, but there's plenty of budget brands out there like Spectrum and Morphe, that are churning out quality tools. Beauty Blenders are fantastic for applying liquids to the face. Think moisturisers, primers, BB/CC cream, foundation, highlighter drops and more. When using one, you'll get a sheer finish to begin with, but you can layer with it. Dampen to use and off you go. Foundation brushes are great for covering the whole face, but are also a good tool for the grooves of the face, like the nose. Using one with a liquid foundation will provide a medium coverage. Depending on the quality of the brush you may be left with streaks. A kabuki brush is used in circular motions to work setting powders and mineral foundations into the skin. You are in control, and can achieve a sheer finish through to a full coverage. An angled brush is ideal for applying blush product or powder contour precisely. Just use a downwards sweeping motion when using bronzer on the cheeks to avoid it looking muddy at the hairline. When using for blush, more of a gentle circular motion is best. These are great when used clean to blend out both blush and contour. A smaller brush is one of the most useful brushes you can have in your makeup bag. Use it to cover blemishes and pores, or for the eye area. That can be to disguise dark circles, for cutting in around your eyebrows, or to create a cut crease eyeshadow look. Getting those fleeky eyebrows can be achieved with a good brow brush. You want one that's quite firm, but with a bit of movement, as you want to apply that pomade, gel or powder in brushstrokes. Get your eyes looking vibrant with the flat eyeshadow brush. These are super for going under the eye, patting on loose pigment/colour and getting right into the crease. If you like your cream shadows then this is the brush you need. If you like to use eyeshadow, then you cannot survive without a super blending brush. Use lightly to buff out harsh edges on eyeshadow looks. |It really softens the whole look, and adds that professional touch. The medium eyeshadow brush is great for swiping colour across the whole eyelid. These can also be used to contour the nose, successfully. A fine liner brush can be used with gel or liquid eyeliners and is ideal for creating precise flicks and lines. Ensure your lips look their best with a fine lip liner brush. Precisely follow your natural lip line, or use the brush to go around the outside for a fuller, glamour look. When applying colour to the full lip, a large lip brush is the best tool for the job. It's also great for slicking on gloss. 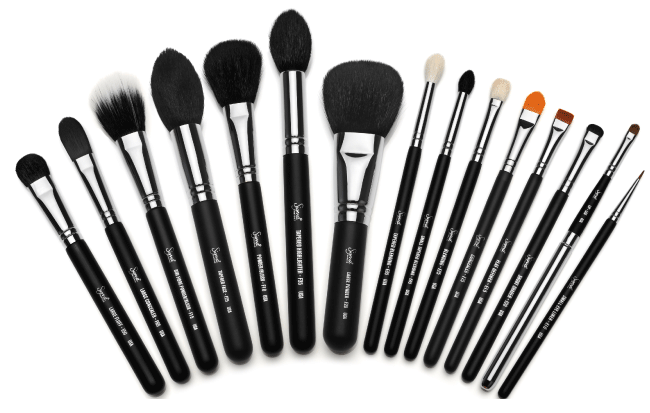 If you want to save money on make-up brushes, then the best way to do so is to buy a set. You don't have to spend a fortune, and Amazon* and eBay* have a vast choice of brilliant affordable sets. 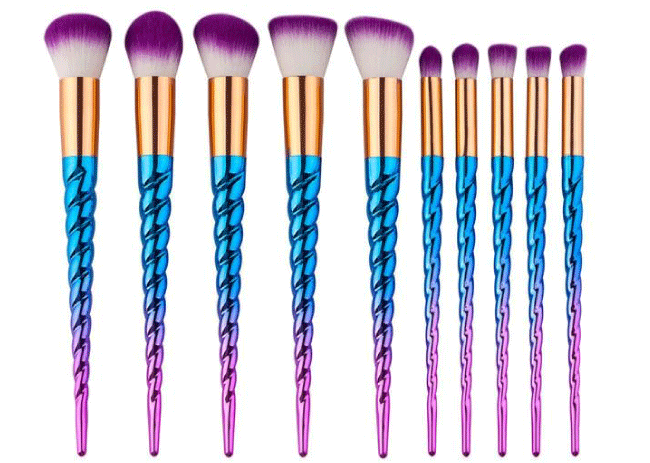 If you like to be extra, then unicorn makeup brushes are the only way to go. Multicoloured, glittery, who cares, so long as they are shaped into a magical horn! How often do I have to clean my Makeup Brushes? For you to get the best from your make-up brushes you must keep them clean. Due to the composition of foundation and concealer, it's best to clean brushes using these at least once a week. Other brushes can be cleaned at least twice a month. This ensures that not only do they apply your make-up products properly, but they won't be transferring bacteria across your skin, causing breakouts. It is best to remove product from brushes after each use, although it's not always practical. You can use sprays like the bareMinerals Quick Change Brush Cleaning Spray* for quick removal of product. These do not replace the full clean process though, but does make it easier. What is the best way to clean Makeup Brushes? A lot of people will say they use baby shampoo to clean their make-up brushes, and that is a good way to remove the product. However, as gentle as it is on the bristles, it isn't antibacterial, so won't get rid of those nasty microorganisms that accumulate on the brush over time. So, it's best to use a specialist sanitiser too likeLook Good Feel Better Antibacterial Brush Sanitiser Foam*. Foundation, and other cream based products can be a nightmare to remove from brushes, so it's worthwhile buying a Silicone Scrubber Board or Mat*. Just run your brush over the amt and swirl to remove even the most stubborn of product. What are the Best Makeup Brush Cleaners? The best makeup cleaners are the automatic ones that spin the brush in water (and cleaning solution) and then dry them, also by spinning. Ones like thisStylPro Makeup Brush Cleaner and Dryer*. You can get cheaper versions like this one from Amazon*. If your makeup brushes are your babies, then you may wish to clean them by hand with a cleanser like Real Techniques Makeup Brush Cleansing Gel*. there's a great wee deal for Holly. Literally ordered less than 30mins ago. Going in the Christmas stash. I love a bargain! Done but had to check out as guest because the offer discount disappeared when I logged into my account? I use spectrum and they are alot better than techniques.